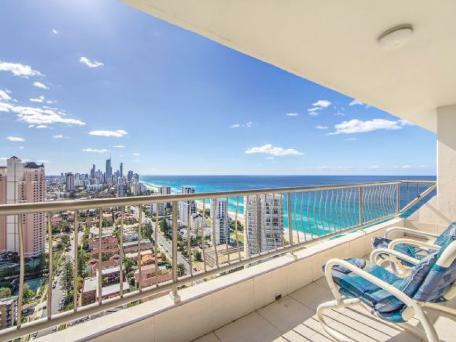 Australia's famed Gold Coast is one of the hottest real estate markets right now. And with good reason! This page will provide research, press, and other independent links to provide information on reasons to consider investing. More coming, keep checking back! 3 January 2018 - Large apartment projects worth about $700 million are in train on the Gold Coast as potential buyers descend on the glitter strip for the summer holidays. Peak buying periods are also expected to include Chinese New Year and the upcoming Commonwealth Games. The Gold Coast is a city in transformation. Here’s our take on what’s going on with the Gold Coast housing market. 1. About 577,000 people live on the Gold Coast. It is expected to grow by some 12,500 new residents per annum. 2. There is a need to build 5,000 new dwellings each year to adequately house this demand. 3. Just over 5 million tourists stayed overnight on the Gold Coast last year. They stayed for a total of 24 million nights. This market grew by 7% last year. Expanding tourism is also fuelling new dwelling demand. 4. The tourism industry contributed about $6.4 billion to the Gold Coast regional economy last year. This represents about 20% of the Gold Coast’s $31.5 billion economy. 5. Tourism supports approximately 46,000 jobs on the Gold Coast, which is 18% of the total local jobs. The Gold Coast, as outlined last week, currently holds 262,000 local jobs. 6. Other local registered businesses numbers have also been on the increase. Local unemployment is on the decline. 7. Residential sales, too, have increased, as have new dwelling approvals; but new dwelling supply is struggling to keep up with demand. More on this later this week. 8. The dwelling market is in a strong upswing in terms of sales. There were 8,500 detached house sales; 10,000 apartment sales; 4,000 townhouse sales and 2,500 vacant lot sales on the Gold Coast last year. These volumes are more than double those traded just five years ago. 9. Current attached dwelling values are rising faster than the mid-term, and especially long-term, average. Median house values rose 7.6% last year; apartment values rose 5.7% and townhouse price were up 4.5%. 10. So, too, are weekly rents, especially for apartments and townhouses. Our available rental rate for the Gold Coast is currently 1.7% for apartments, 2.0% for townhouses and 3.7% for detached houses. There are just 2,000 dwellings advertised for rent on the Gold Coast. A report released in late 2017 by insurance provider QBE predicts house prices will rise 6 per cent to 2020, to a record $665,000 on the Gold Coast. However, industry heads said the QBE report’s forecast growth was a reasonable prediction given the level of development and continued migration from southern states. 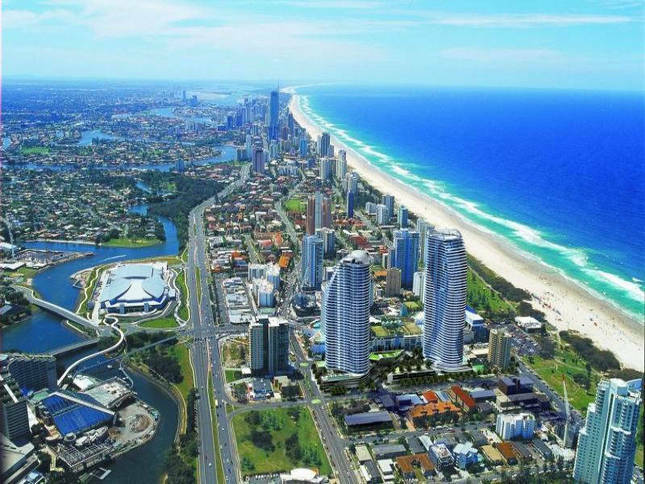 “The Gold Coast is poised to capitalise (on this) because of infrastructure investment undertaken,” said Tony Fitzgerald, a director of property valuer LMW. Mr Fitzgerald said the Coast’s median price was relatively affordable compared to Sydney. The QBE report also predicted a five per cent rise for apartments on the Glitter Strip by 2020. Ray White Surfers Paradise Group CEO Andrew Bell agreed, saying while the figures didn’t sound unachievable. “What I feel very confident about is the Gold Coast is in the best position ever with very solid fundamentals and that there is great momentum in the local economy. Mr Bell said as long as interest rates and unemployment numbers did not rise significantly, the market would continue to rise at a sustainable pace. “Better than a boom and a bust. “There is an emerging trend, not just on the Gold Coast, where people are tending to live in apartments; empty nesters who don’t want to look after pools. “(They) can buy at a lesser price and put money in the bank.” Mr Newlands said the Coast’s excellent weather was also a big driver in attracting buyers. BROADBEACH "the best area on the Gold Coast"
What can we see from this chart? 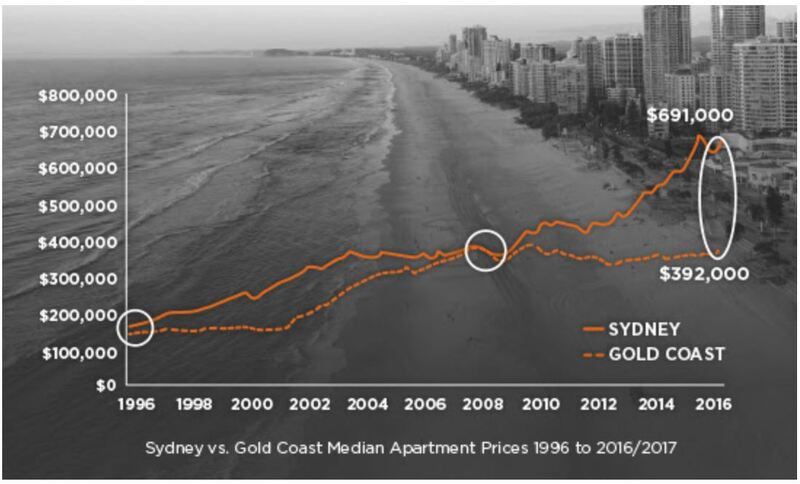 historically, the median apartment price of Gold Coast and Sydney have converged after Sydney has had a run up in prices. This should give confidence to buyers of Gold Coast apartments in the short to medium term, given the gap is at the widest it has been in the last 20 years. South-east Queensland’s property market seems to have weathered the worst of the economic storm and the oversupply of apartments in and around the Brisbane CBD. If the latter plays out as expected, this should provide an enormous transfer of wealth from the southern states – and would have far reaching positive outcomes for the economy and property prices as a whole. If the market can navigate 2018 safely, the ensuing years could potentially experience some of the strongest years of price growth for south-east Queensland property since the early 2000s. The most recent Urbis Apartment Essentials report confirms the popularity of coastal suburbs with the Gold Coast Central precinct from Labrador to Broadbeach accounting for 40 per cent of new apartment sales in the September quarter of 2017. While Urbis noted fewer apartment projects hit the market in the quarter, prices were sharply higher. The weighted average sale price for new apartments rose $48,381 over the quarter to $676,307 which was the highest price recorded since 2014. CoreLogic’s head of research Tim Lawless is not surprised by the underlying strength of the Gold Coast in the past year. Despite softer conditions in most of the capitals, he argues that the fundamentals exist for a sustained period of growth that has eluded the Gold Coast in the past. “It was always going to be the case that some of the markets (like Gold Coast) that started this cycle much later than the larger cities were going to outperform,” Mr Lawless says. While the Commonwealth Games loom large as a single source of stimulus for the economy, Mr Lawless sees broader issues at play that could underscore a rising market beyond 2018. “There has been a level of stimulus in the local economy from the Commonwealth Games around the build-up of infrastructure development and you’d have to expect that as the level of investment slows down then that’s going to have a flow-on effect. “But I don’t think the Gold Coast market is going to crash or probably even go backwards. The strength of the market is being reflected in tight residential vacancy rates. Real Estate Institute of Queensland figures show vacancies plummeted to 1.1 per cent in the December quarter of 2017, down from an already tight 1.9 per cent three months earlier. Mark Witheriff, the co-managing director of Knight Frank Gold Coast, sees the sustained low vacancy rates and relatively modest developments as two key indicators supporting the Gold Coast property market in the short term. “In previous cycles we’ve seen fluctuation in vacancy, soft tourism numbers and massive towers,” he says. “The domestic market will continue to tick along because of the fundamentals which are there for developments up to 120 apartments, but not for mega-towers. These are traditional, sensibly sized single-market-cycle developments for owner-occupation, investment and holiday letting. “It’s been a much more passive approach to the market than previous cycles. After the Commonwealth Games, I’m not sure what changes. “I think the Gold Coast has gone through a long period where there hasn’t been much construction activity at all for the residential space,” he says. “Historically the Gold Coast does go through some rapid periods of development, generally in line with housing market conditions. If office vacancy rates are any guide, business sentiment is riding high. Property Council of Australia figures show vacancies fell 1.6 percentage points to 10.6 per cent at the end of December 2017. “That’s a pretty strong market,” Mr Witheriff says.